Cold Shoulders are such a crazy trend! Cold-Shoulders & Off-the-Shoulders have been a long staying trend. It is funny how even after the season began long back, it is still as fresh, in-fact with more innovative designs coming through. 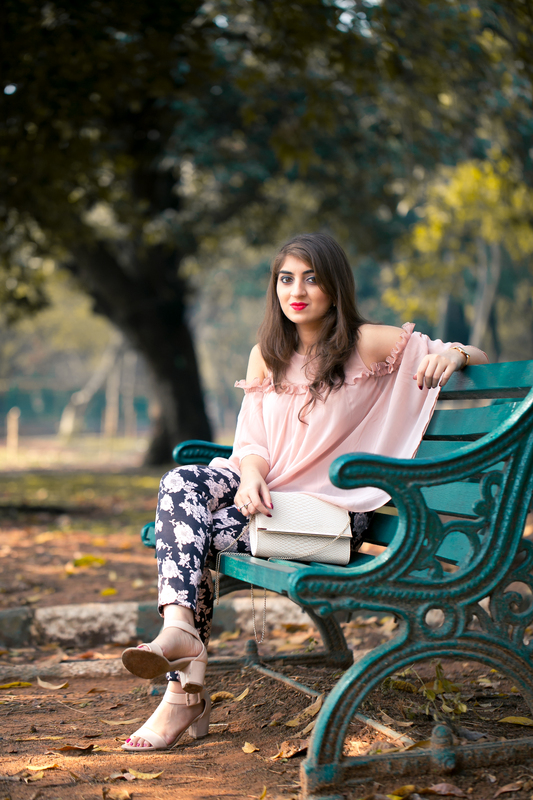 It is a trend that literally pleases women of all body types & clearly that allows women to flaunt unlike the recent trends, crop tops & culottes. This definitely made a huge wave into the industry. No doubt it began much before even the 60's but this time with creativity as it's peak. 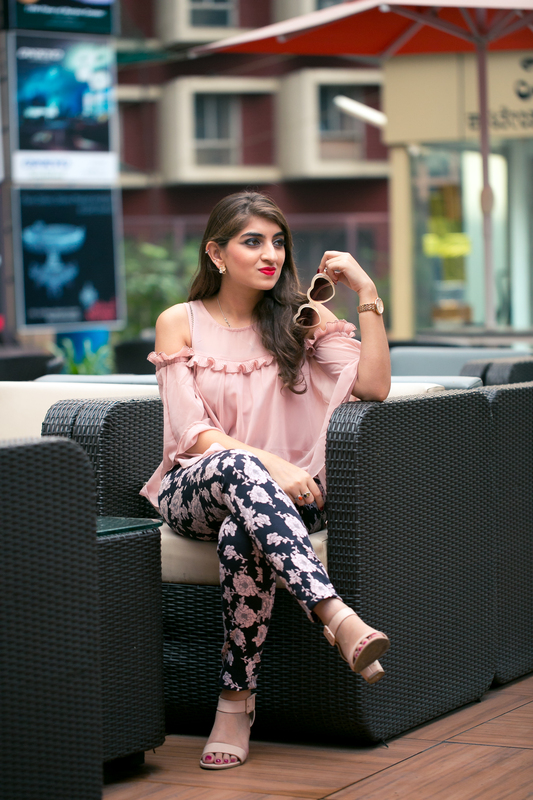 I have managed to get hold of a few basic to fancy cold shoulder & off shoulder tops & dresses myself, this post is just to begin with. 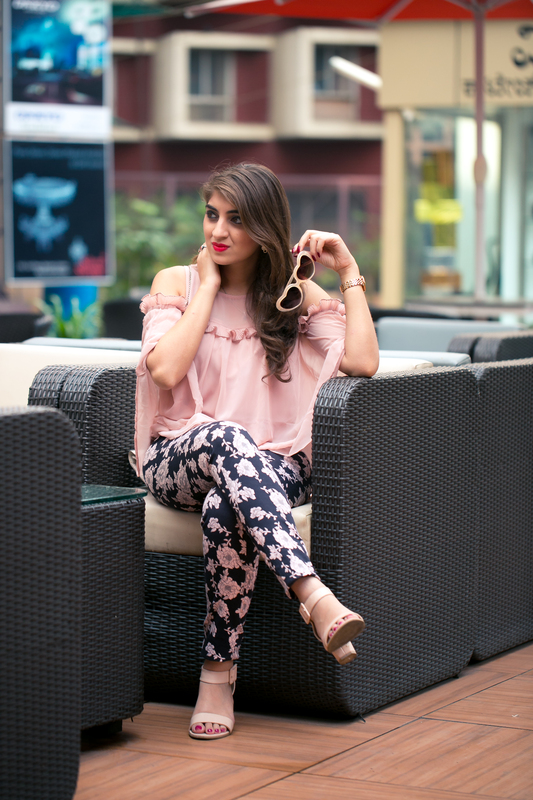 Even though the style was enough to stand out, I wanted to bring in the touch of retro therefore the printed pants & the quirky glasses. Whatever be the season or trend I take that bare effort to coordinate all subjects in my outfit. 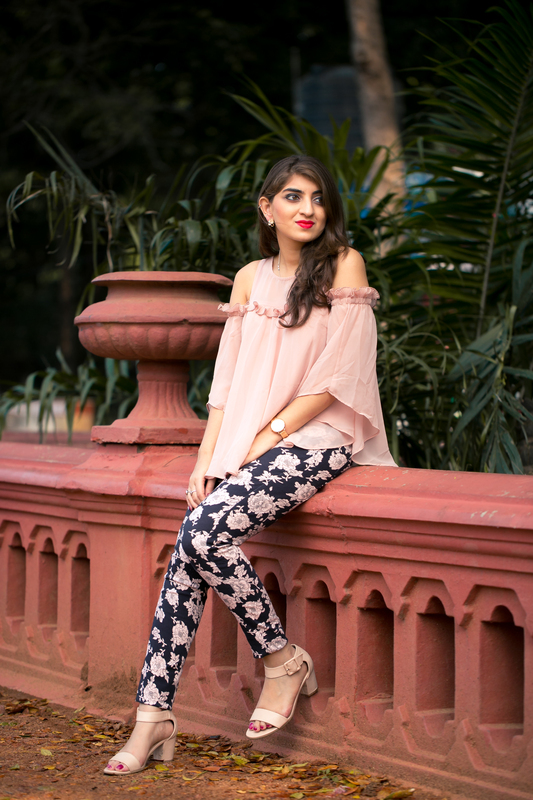 My next two posts following this are the other cold shoulder favourites in my wardrobe, till then do enjoy the pictures of this one. 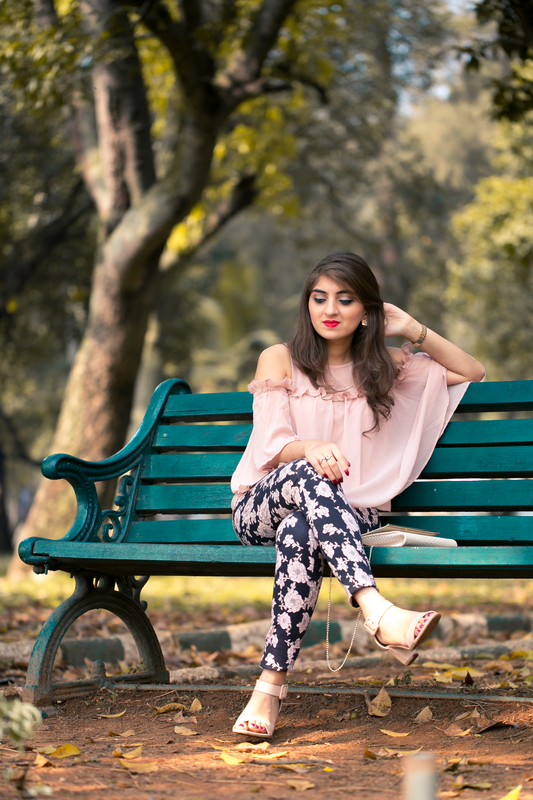 Head to the end of the post to check for details of my outfit!